I thought you might like to see some pictures of how I looked when I was the age that my readers are now. 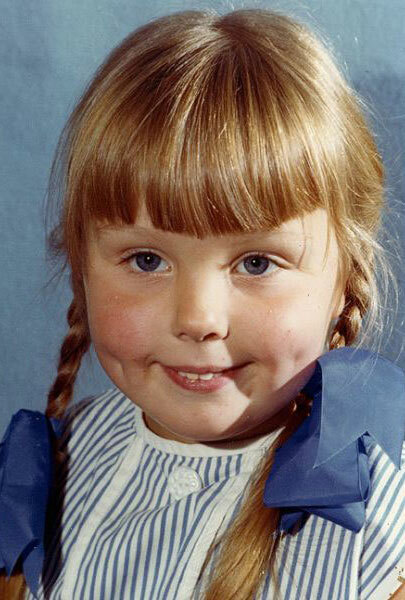 This is my very first school photo, so I would be just 5 years old. The two little boys with me in the next one are my twin brothers, Philip and John. 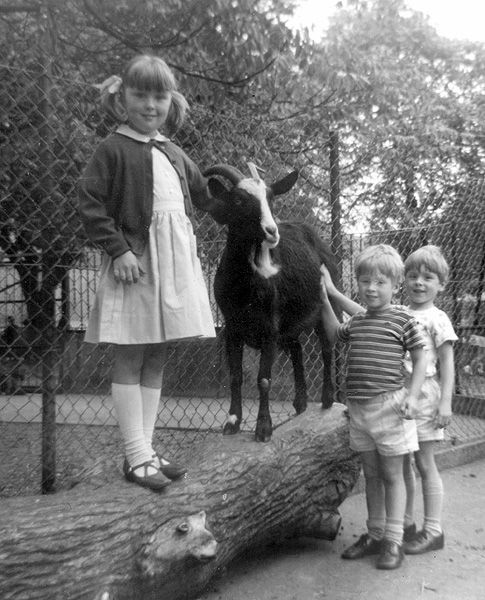 We were at London Zoo I think. My first encounter with Giddy Goat! 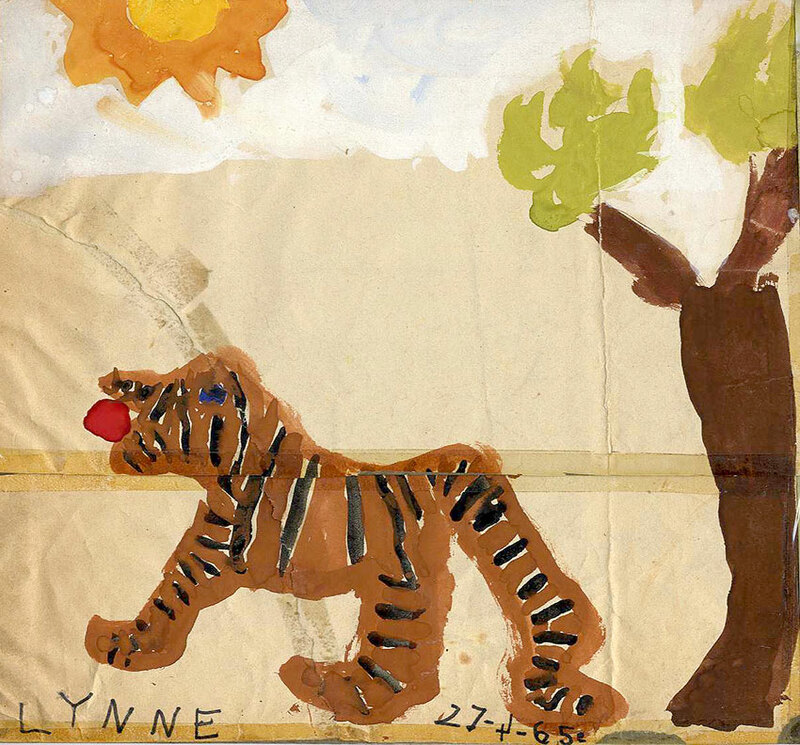 … that I always liked to draw, even when I was really little. My earliest memory of drawing is the big painting easels we had at infant school, and being frustrated that the paint always ran in big dribbles down your picture! 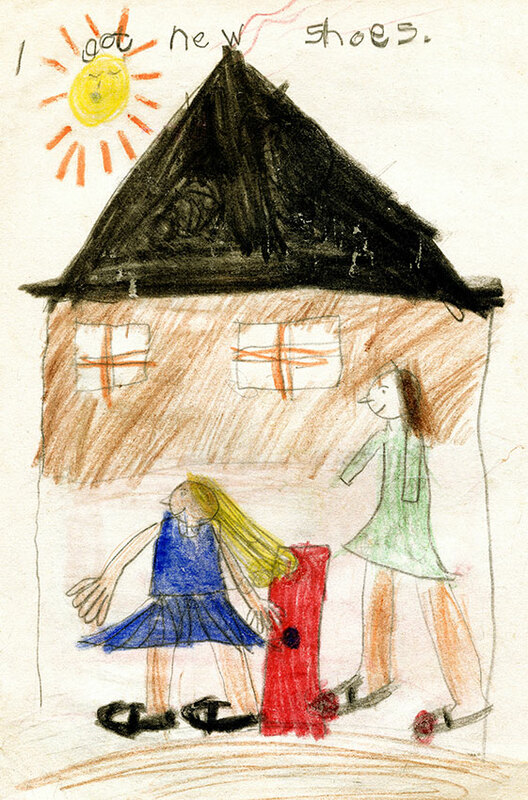 Here are some drawings that Mum and Dad have kept safe all these years. 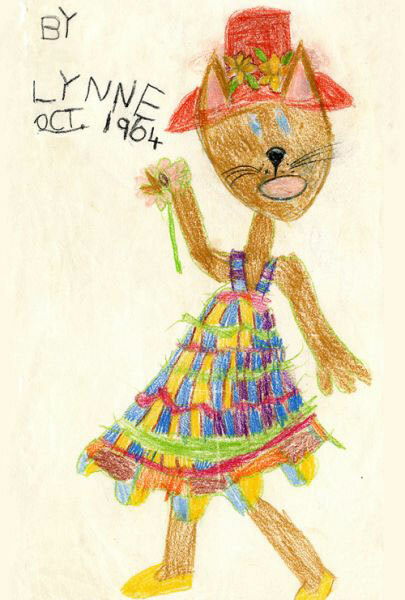 I was just 4 when I drew this groovy cat. I want that dress!